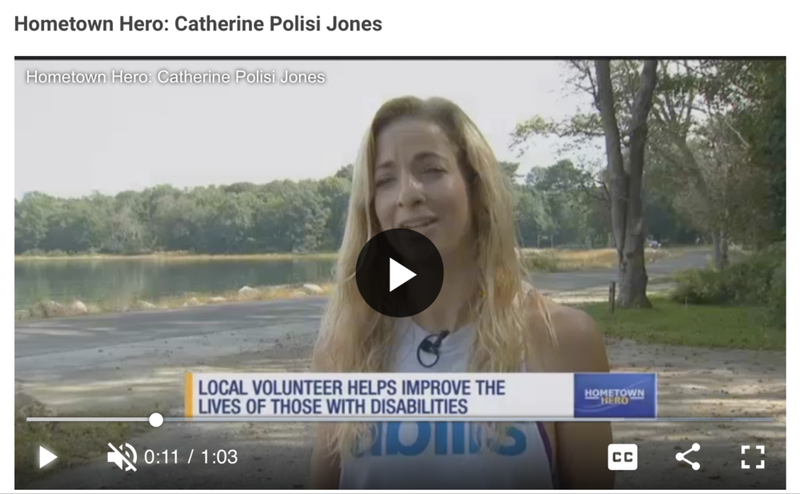 Catherine Polisi Jones serves on the board of directors of Abilis, a nonprofit that supports over 700 people and families with special needs. NEW YORK, NY – August 1, 2018 – Polisi Jones, a full-service consulting firm that takes a holistic approach to achieving company success, announced today that it is an award finalist in the category of “Best Communications Consultancy” in HFM’s 2018 U.S. Hedge Fund Services Awards. Polisi Jones offers an innovative approach to consulting for private and public companies across all sectors and geographies, with particularly deep experience in the financial services sector. The firm provides comprehensive support and services across three critical areas that it believes are core to a company’s success: strategic communications, creative design and events, and team mind-body-spirit wellness. Through this holistic and highly dynamic approach, Polisi Jones helps its clients “sound good, look good and feel good” by communicating a thoughtful and consistent corporate message, creating eye-catching and highly differentiated branding, and offering individualized solutions for employees to find a path toward achieving personal happiness, health and professional growth. The HFM U.S. Hedge Fund Services Awards honor providers of services and solutions to the hedge fund sector that have demonstrated exceptional innovation, customer services and performance over the past 12 months. Category winners will be announced on September 13, 2018. YWCA Greenwich 2018 BRAVA Awards Honorees will be celebrated at a luncheon on Friday, Jan. 19, at the Hyatt Regency, Greenwich beginning at 11:30 a.m. Established in 1977, YWCA Greenwich BRAVA Awards recognize accomplished female professionals who are acknowledged leaders in their fields for their mentoring of others and their commitment to both philanthropy and community involvement. In 2018, YWCA Greenwich will also honor the next generation of women — two students from Greenwich High School — who are already exhibiting professional leadership and are committed to making their community a better place for all. The 2018 BRAVA Honorees are: Lucy M. Ball, Executive Director, Lone Pine Foundation; Deborah Hodys, Vice President & General Counsel, Greenwich Hospital and Deputy General Counsel, Yale New Haven Health System; Alice Knapp, President, The Ferguson Library; Bismruta Misra, MD, MPH, FACE, Medical Director, Diabetes & Endocrine Center, Stamford Hospital; Catherine Polisi Jones, President & Founder, Polisi Jones Communications; Betsy O’Reilly, President & Founder, QuadJobs; Karen Ress, Vice President & General Manager, Tea Brands, Nestlé Waters North America; Amy Siebert, Commissioner of Public Works, Town of Greenwich; Kara Underwood, Managing Director, Morgan Stanley. The 2018 Next Generation BRAVA Honorees are: René LaPointe Jameson, Greenwich High School Senior; and Cassandra Marcussen, Greenwich High School Senior. The 2018 BRAVA Awards co-chairs are Laura Beck, Patricia Chadwick, Leslie Dahl, Karen M. Kelly, Jane Lazgin, Amy Mooney, Randi Nielsen, Lindsay A. Sheehy, Kathleen Silard and Melissa Turner. BRAVA plays a significant role in supporting YWCA’s women’s leadership and development seminars and services, as well as other mission-related services of YWCA Greenwich. GREENWICH — YWCA Greenwich has announced the winners of the 41st annual Brava Award that honors women who are committed to philanthropy and community service. Keeping with its core mission of empowering women and girls, the organization has chosen nine women to acknowledge at its 11:30 a.m. Jan. 19 luncheon at the Hyatt Regency in Old Greenwich. The Brava Awards were first held in 1977. Proceeds from the luncheon and awards ceremony will support YWCA Greenwich’s women’s leadership and development seminars and services. Catherine Polisi Jones, president and founder of Polisi Jones Communications; Betsy O’Reilly, president and founder of QuadJobs, which helps college students get jobs; Karen Ress, vice president and general manager for the Tea Brands division of Nestlé Waters North America, and Kara Underwood, a managing director for Morgan Stanley. Alice Knapp, president of the Ferguson Library in Stamford, and Bismruta Misra, medical director of the Diabetes and Endocrine Center of Stamford Hospital, will also be honored. In 2018, YWCA Greenwich will also be giving out special awards to the Next Generations Brava Honorees Rene LaPointe Jameson and Cassandra Marcussen, both of whom are seniors at Greenwich High School. Joan Mockler, director of communications and racial justice at YWCA Greenwich, said both girls are already making a big difference in the community. Kiernan said the Next Generation awards are being added to empower younger women and highlight their accomplishments. Marcussen is being recognized for founding several clubs at GHS including its Girls Who Code club and the Greenwich Public Schools Programming Outreach, which is made up of volunteers who go to the town’s elementary schools to teach the essentials of computer programming to younger students. Jameson was cited for her work creating the GHS community garden which has received a highly competitive grant from HerLead, a partnership between Ann Inc., the parent company of Ann Taylor Loft and Lou and Grey, and Vital Voices Global Partnership, which provides leadership training and mentorship to the young women leaders. Jameson also has been named a Global Face and a Compassionate Young Leader You Should Get to Know by The Jane Goodall Institute and on Jan. 31 will introduce a screening of a documentary about Goodall at the Avon Theater in Stamford. Jameson is also on the youth board for Abilis, a Greenwich based non-profit which assists people with developmental disabilities and their families. “We hope that by recognizing the contributions of the next generation of leaders, we will encourage other young women to strive to be the very best in whatever field they choose,” Kiernan said. Tickets now are available. For more information, including prices and availability of tickets, visit www.ywcagreenwich.org/brava.